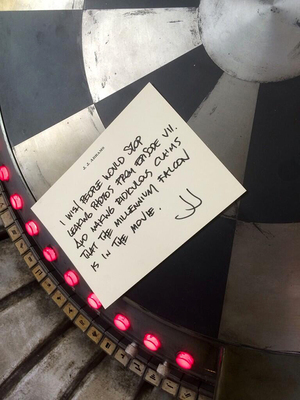 A photo tweeted yesterday by JJ Abrams in response to a spate of photos leaked from the Star Wars Episode VII set. 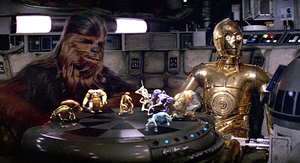 The picture, as any geek worth their salt already knows, features a Dejarik hologram table and part of the onboard furniture of the Millennium Falcon. Posted in Film and tagged JJ Abrams, millennium falcon at 7:15 am on June 5, 2014 by Broadsheet.